Do you think it’s really cost more to eat healthy? I know that is something I used to think too. But I’ve changed my mind. 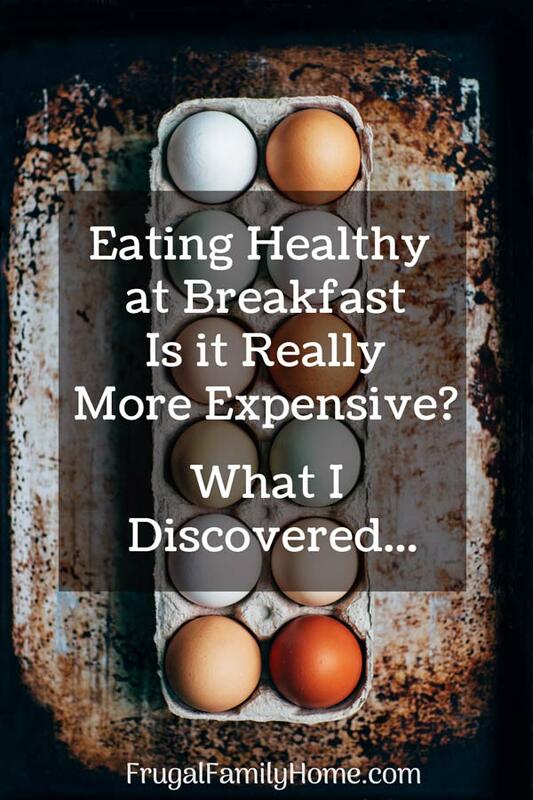 Listen to this week’s podcast to find out if it’s really is more expensive to eat healthy at breakfast. I think most people really believe it’s more expensive to eat healthily. 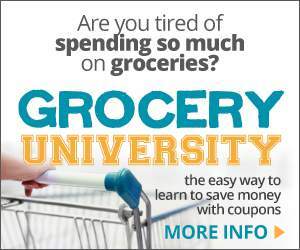 Because healthy food appears to cost more when you are purchasing it at the store. But I wondered if it was really true. Would healthy food, real food, really cost more than the average food most people eat? I started with breakfast. It’s supposed to be the most important meal of the day. At least that what they taught me in school. If it’s that important, it should be healthy too, shouldn’t it? So I set out to compare a few breakfast items most of us eat. Things like cereal. Baked items like donuts and biscuits you might make for quick breakfast. Egg dishes too, to see if it would really cost more to eat a healthier version and this is what I found. I’m dishing it all out in this week’s podcast. Listen below and see what you think. Want just the highlights, for now, scroll down to read the cliff notes version below. It hits the high points of the podcast. What I found when I checked to see if it’s really is more expensive to eat healthy like everyone says. 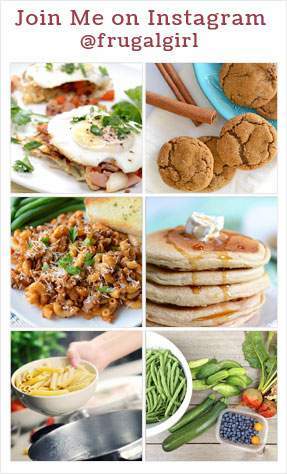 These are the items I compared and the recipes I make for our own family to save money and to eat healthier versions than store bought ones. See if you agree with what I found. But first, let’s clear the air about what is healthy. Healthy is subjective. Some people would say wheat flour is unhealthy. Others say fat is unhealthy and low fat is the way to go. While more people would say no sugar and high fat is where it’s at. While I’m not entering that debate in this podcast. I am comparing common breakfast items you might buy at the store to a more healthy homemade version. Let’s see what I discovered. Cold cereal on sale is about $3-$5 a box depending on what you purchase. If you get the cereal on sale or if you have coupons. It might be closer to $2. If you pay full price, it might be closer to $5 a box. Most cold cereal boxes contain about 8 servings. Making it cost $1.50 for 4 servings to $2.50 for 4 servings depending on the price you purchase the cereal at. And that’s not including the milk to put on it which adds another $.64 per 4 servings. Bringing the cost of a bowl of cereal with milk to $.54 to $.78 for each serving. Which is close to the cost of 4 servings cost of the healthier cereal versions below. 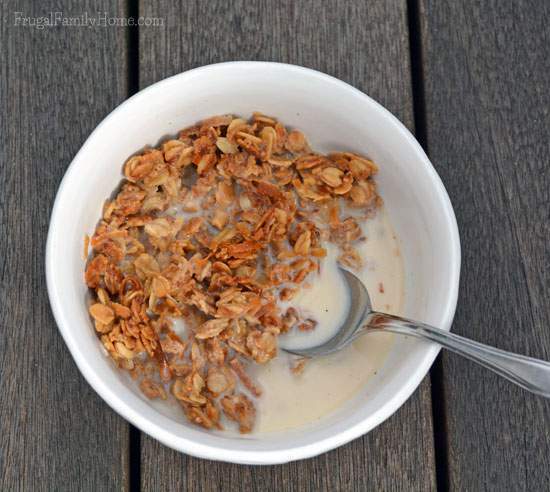 Homemade granola, oatmeal, or rice cereal is a good alternative and much less expensive at only $.62 to $.88 for 4 servings and that’s with the milk included. It can really save you money at breakfast and be healthier for you too. Rice cereal and oatmeal are about the same in price. You can make rice cereal for $.62 for 4 servings. 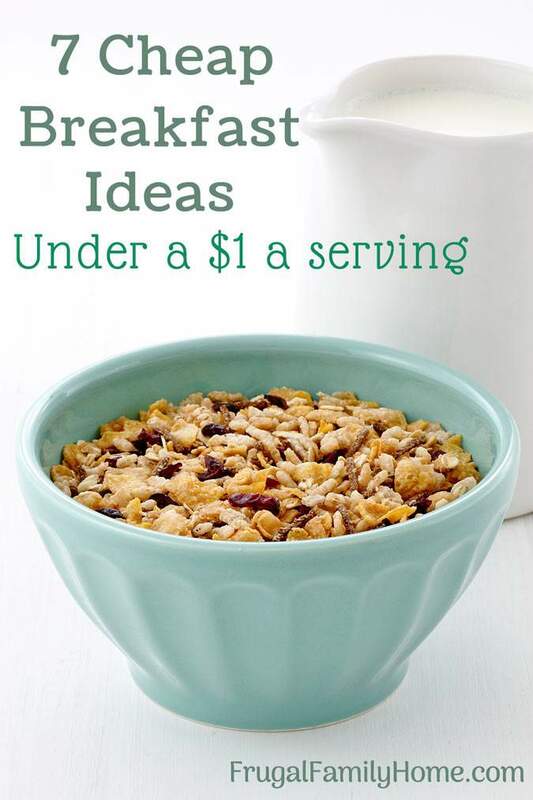 Oatmeal with raisins and milk will come in at $.71 for 4 servings and homemade granola with milk ends up costing $.88 for 4 servings. Eating a healthier version of cereal is about 1/4 the cost per serving. Now let’s see how baked good price out. Making your own baked donuts isn’t hard to do. If you can make muffins you can make baked donuts. Plus you can really save over the store bought or donut shop donuts too. 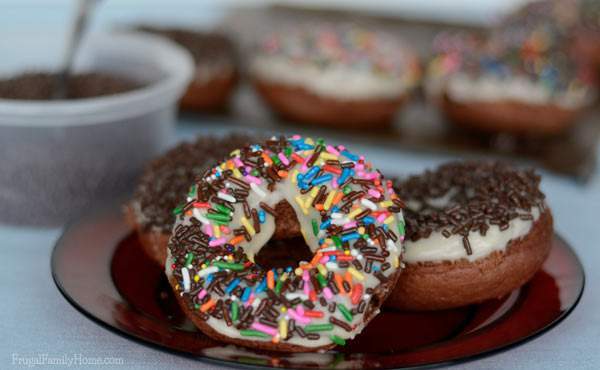 Homemade baked donuts cost about $2.27 per dozen to make at home. That is including a powdered sugar glaze and sprinkles on top. Or just $.19 a donut. Donuts from the store are about $.50 each and the ones from the donut shop cost more around $.80 to $1 each. Making them $6 to $12 a dozen depending on where you shop. That is again about one fourth the cost. While donuts are not healthy. Baked donuts are a healthier version over the fried ones. 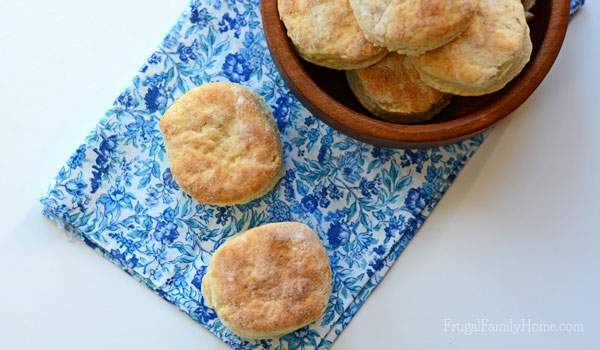 Making homemade biscuit can be quick and easy. I make them often and they are so much less expensive than the pop can biscuits. Homemade biscuits using this recipe will cost about $.60 for 12 biscuits. Making each biscuit about 5 cents each. A tube of pop can biscuits with 8 inside costs at my local store $2.29. Making each biscuit $.29 each. By taking a few minutes to mix, cut, and bake your own biscuits you can have biscuits you know all the ingredients in them and save money 20 cents each too. But maybe you eat low carb or paleo, is it going to be cheaper with egg dishes? Let’s see! If you like to have eggs for breakfast, let’s compare eggs with breakfast hash verses a freezer option of eggs, bacon and potatoes freezer meal. Making a breakfast bowl or eggs with vegetable hash is a great way to start your day. And it can be inexpensive too. This recipe for an egg over vegetable hash is less than $.50 a serving. And that’s including the egg too. If you are a big eater, you could add two strips of thick sliced bacon for $.44 more. Making it a hearty breakfast for under $1. To purchase a similar dish with no vegetables but a breakfast bowl with eggs, bacon, and potatoes it will cost a little over $2 per serving. It’s convenient to make, but it also has ingredients you can’t pronounce. 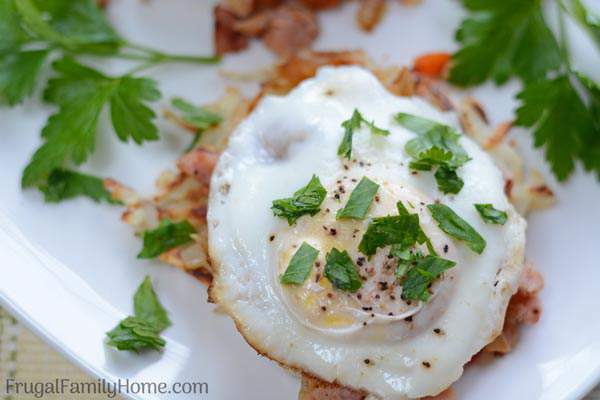 The breakfast hash can be made of any vegetables you have on hand. So you don’t waste your fresh vegetables in the crisper drawer. It’s also healthier with no added preservatives. The egg dishes in the freezer section while some of them have vegetables they are all about twice the price. As you can see by these breakfast examples, I really believe you can eat healthier and for less money. It might take a few extra minutes to make breakfast but prepping ahead can really help make breakfast healthy and easy to prepare. What do you think? I’d love to hear your thoughts on what you consider to be a healthy breakfast and about how much it costs you to make. Leave me a comment below or drop me an email.